Cleveland Area History: Mystery Photos - Now With More Detail! Mystery Photos - Now With More Detail! 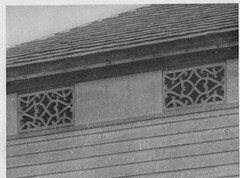 Photos of fretwork at Shalersville, Circleville, Bellevue, and Wooster. By I.T. 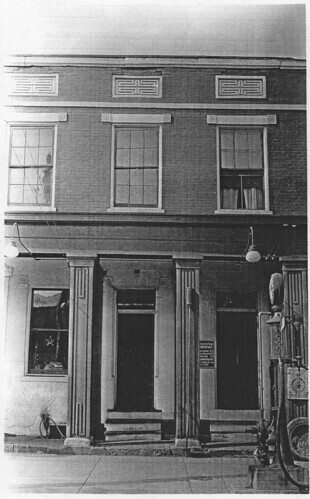 Frary, from Early Homes of Ohio. 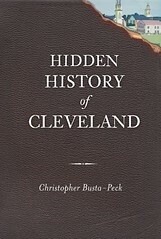 As part of the Cleveland Artists Foundation's exhibit, Designing History: I.T. 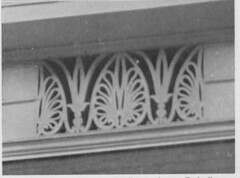 Frary; Interior Design and the Beginnings of Historic Preservation in Ohio I'm taking an in-depth look at Frary's published works. Chief among these is Early Homes of Ohio, which is now 75 years old. This landmark title was the first to deal with the architectural heritage of this state, and remains an unequaled standard in the field. I've been trying to locate all of the structures pictured in Early Homes of Ohio, so that I might document their present condition, and so that others might view them in person. I've located most of them, but some still present difficulties - mostly because, in Early Homes they were only shown in detail. I've scanned photocopies of the images from the collections of the Ohio Historical Society, some of which are presented here. 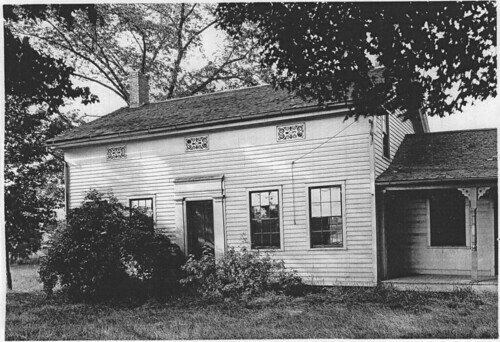 This house, located "East of Shalersville, Ohio", was photographed by I.T. Frary in 1926. Given the angle of the shadows, and that Frary tended to stay on the main roads, it's probable that the house is on the north side of the road. 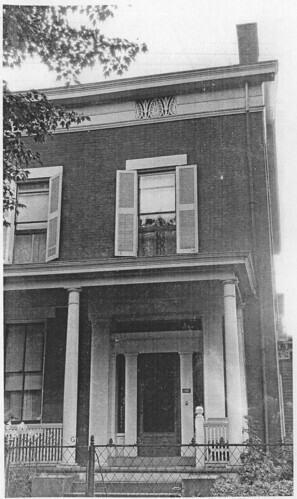 Frary photographed House, Circleville, Ohio, in 1924. It appears to be the sort of structure that would be in the center of the city. 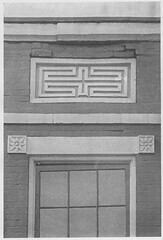 This brick structure, in Wooster, Ohio, appears to have been built as a commercial structure - thus the two front doors, for better traffic flow. 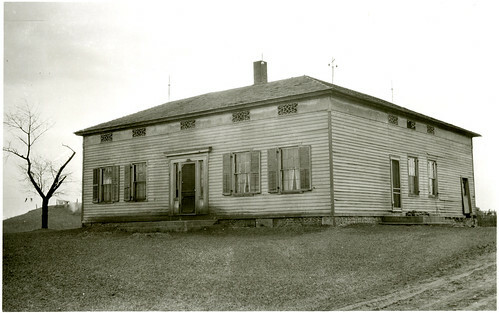 At the time Frary photographed it, in 1924, it housed a gas station, and Church of Christ, Scientist. I've been unable to determine location for said church that corresponds with the evidence suggested here - the building should be close to the street. 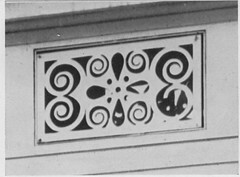 This House, West of Bellvue, Ohio was photographed by I.T. Frary in either 1923 or 1924. This is a scan of an actual photograph, so there's plenty of resolution there, if you need to look at it in more detail. While the house appears square, I suspect, based on the roof line, that it might be L-shaped. This is just the first group - I'll be sharing more in the coming days. If you know where these houses are, or were, either by address or approximate location, please either comment here or send an email to clevelandareahistory@gmail.com. Thanks!